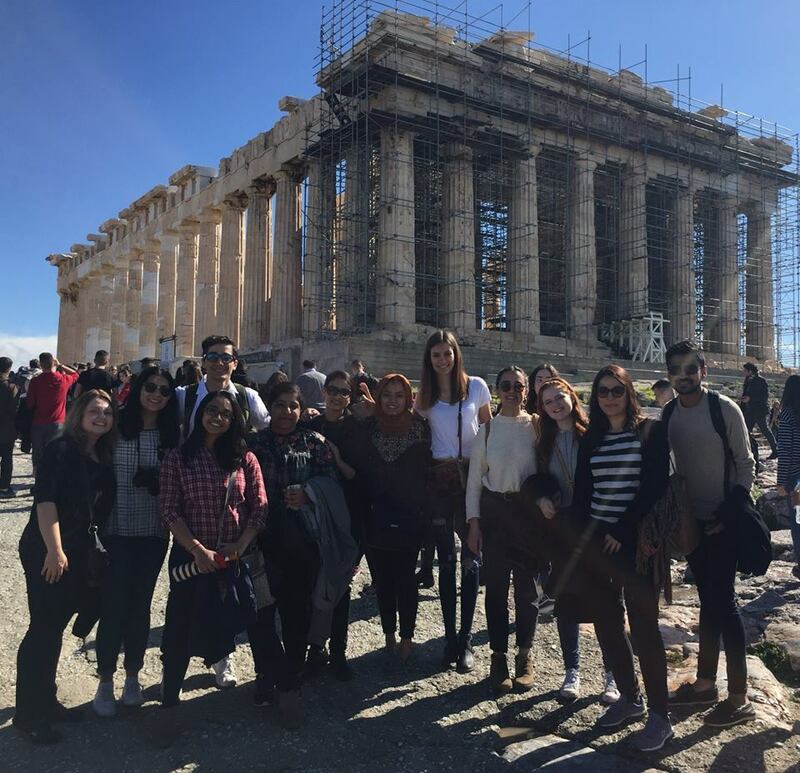 This reading week I had the amazing opportunity to travel to Athens, Greece through the Faculty of Arts and Science’s International Course Module program in conjunction with the Human Biology Department’s Global Health research course. The 2018 ICM team at the Acropolis of Athens. As a Global Health student, I have spent much time learning about complex factors affecting the health of people, the intersectionality of disciplines when it comes to tackling healthcare issues, and the importance of realizing that health is not limited by borders. As a result, I became much more interested in global health, and did not hesitate to apply when I came across the International Course Module program. 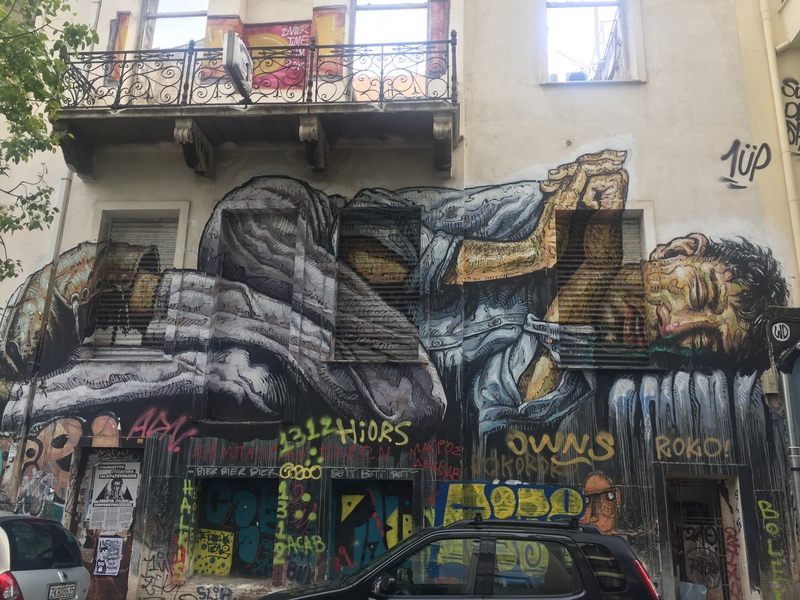 The ICM sought to help us gain a better understanding of healthcare in Greece—specifically the effects of the migrant crisis in addition to the ongoing economic crisis on the healthcare system. On our first day , we learned about social movements in Greece. We learned about the role of graffiti and civic engagement in activism. The graffiti, pictured above, comments on issues varying from political reform, the migrant crisis, and poverty. 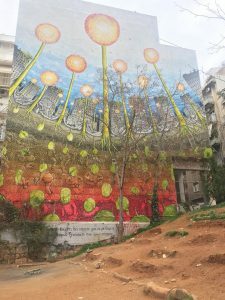 We began our trip with a Social Movements tour of Athens, which not only helped us understand the modern history of Greece but also helped us realize the value of civic engagement, and the important role students can play in politics and reform. 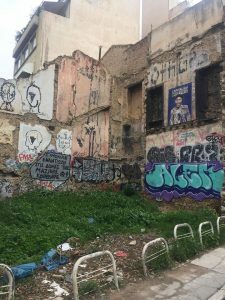 Over the course of the week, we visited NGOs, such as Praksis and Medicin du Monde, as well as community initiatives, like the Victoria Square Project and the Greek Forum for Refugees. We were able to engage in meaningful dialogue with these organizations to understand the work that they do, and their perceptions and reactions to the healthcare system in Greece, the economic crisis, as well as the more recent migrant crisis. 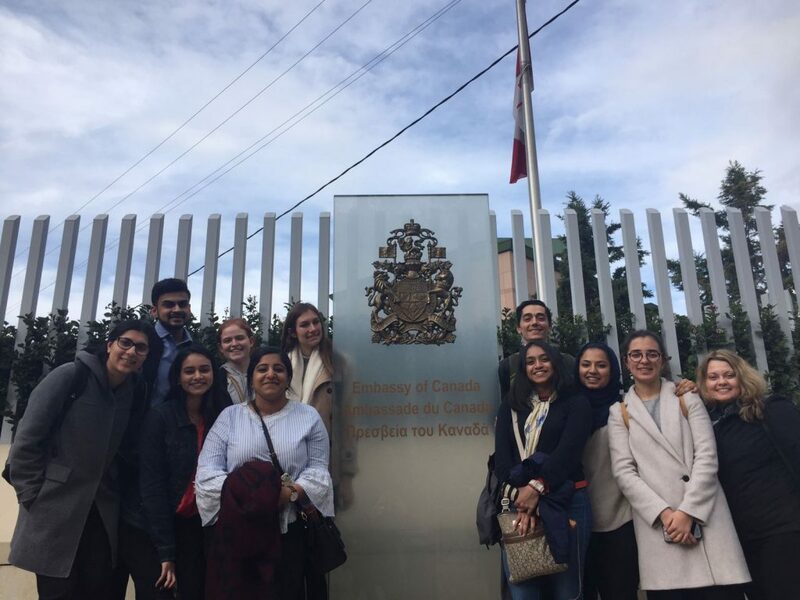 During our trip, we visited the Ambassador of Canada to Greece. We were able to engage in interesting conversation about Greece, economic issues, humanitarian problems and the role Canada has to play. The Stavros Niarchos Foundation Cultural Center. 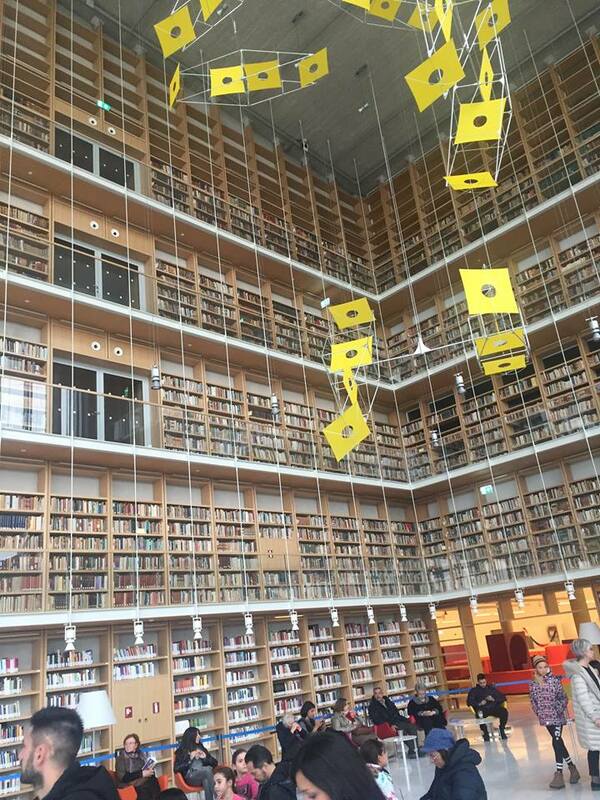 Visiting this center helped us understand the importance of preserving the arts and culture. So many bookS!! 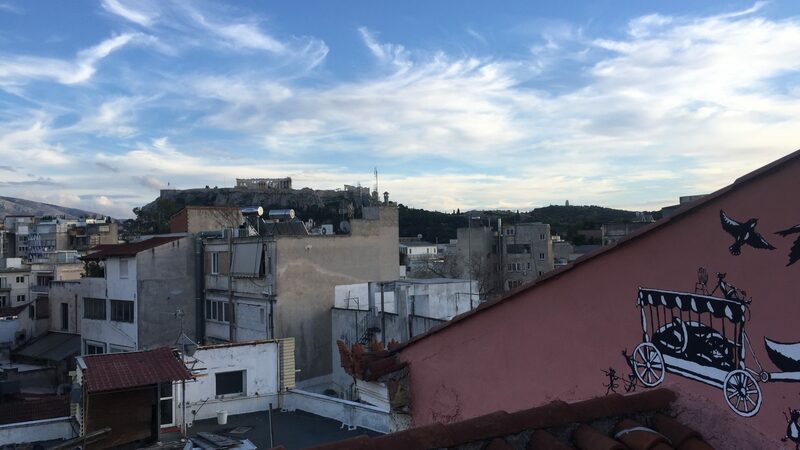 We traveled to Athens wanting to study the healthcare system, but we left with insight on a multitude of complex issues. As Global health students, we were finally able to witness the intersectionality of politics, the economy, history and social engagement when it comes to health and healthcare. In addition to the essential academic aspects of our trip, we were able to experience and learn about the Greek culture—which I believe is necessary for students working in a global setting. Exploring the streets of Athens, interacting with the lovely locals, and the copious amounts of delicious Greek food was absolutely fantastic! 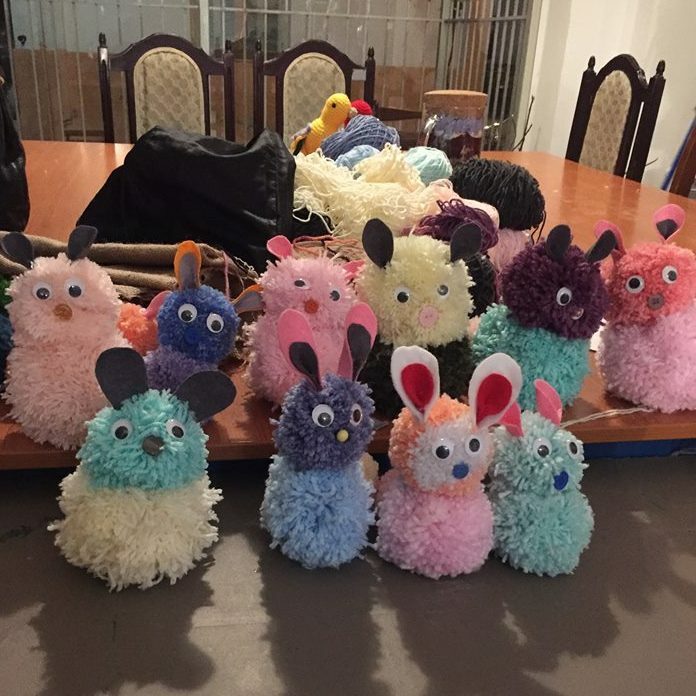 We got to spend an evening making Pom-pom bunnies with the Victoria Square Project for refugee children. Honestly, the experience would not have been the same without the fantastic group I had the opportunity to travel and study with. The professors, Dr. Dimaras and Dr. Papaconstantinou, did such a great job organizing the trip and making sure that every day was beneficial to us in some way. 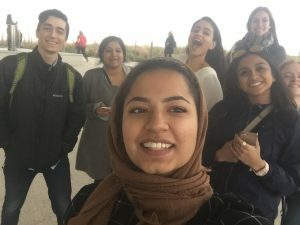 They provided us a priceless opportunity to finally experience our education in action and inspired us to continue our pursuit of understanding the complexities Global Health. Every day was full of excitement! My peers, too, made the trip so memorable and I am glad to say we have all formed some amazing friendships through our shared experience. I could not have asked for a better group of people to have spent this trip with! Each day was packed with activities, but despite being a little (very) sleep deprived, I could not deny my excitement for every aspect of this trip. 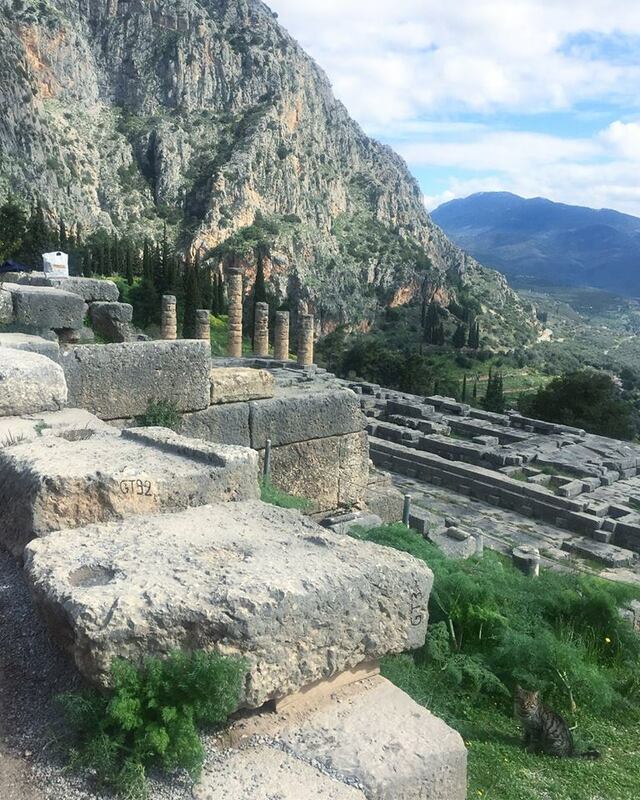 The week came to end with a day trip to Delphi where we learned about the Oracle, the temple of Apollo, and the Pythian games. The bus ride there was also very memorable (three hours of roadtrip games and a lot of laughter)! I truly appreciate the value U of T holds for experiential learning. 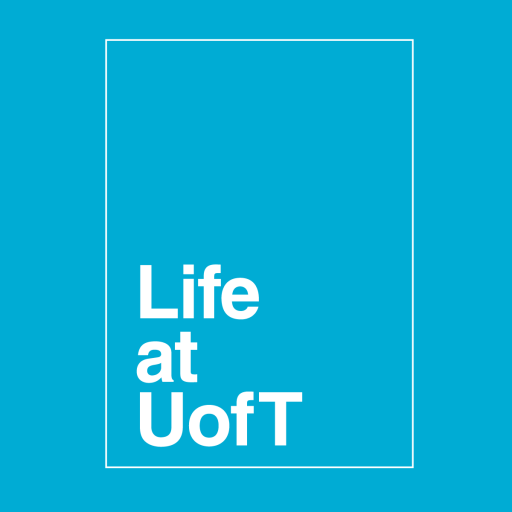 Check out U of T’s Center for International Experience to explore the many avenues the University provides to take your education international!